Our range of products include jacketed process vessels, limpet coil reaction vessels, jacketed reaction vessels, agitator reaction vessels and decanter centrifuge vessels. We take immense pleasure to introduce ourselves as one of the well-established manufacturers and suppliers of Jacketed Process Vessels. 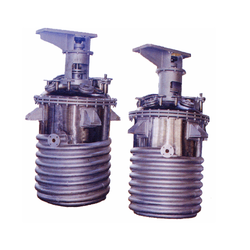 These are used in industries for various application purposes. These are manufactured by using high tech machinery and by employing high-quality raw materials. Blessed and supported by the team of adroit professionals, our company is considered as one of the eminent manufacturers and suppliers of Jacketed Reaction Vessels. The offered jacketed reaction vessels are widely demanded in different sectors, such as pharmaceutical & chemical plants, dyes & intermediates. This range possesses reactants that take part in reaction and is highly well accepted for its capability to withstand highly reactive chemicals. 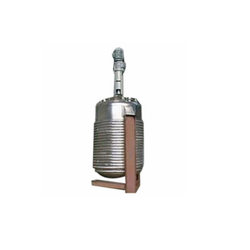 Persistently marching in today’s competitive market, we are well-known manufacturers and suppliers of Agitator Reaction Vessels. These are manufactured in tandem with the technical details specified to us by our customers. 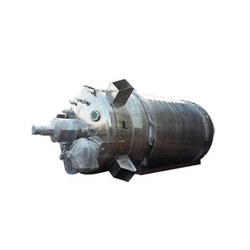 Further, our range is anti-corrosive and make sure better functioning. 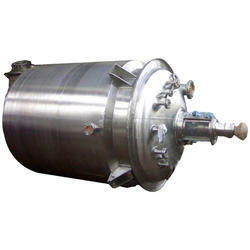 We have achieved high acclamation in the industry for offering a top-of-the-line gamut of Decanter Centrifuge Vessels. This range is ideal for separating, feeding, washing and discharging the materials which have solid density more than liquid density. 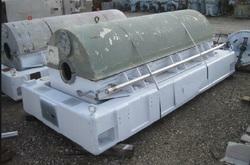 Looking for Reaction Vessels & Storage Vessels ?